After summer-like heat and humidity earlier this week, cooler, less humid air has returned to the Tri-State. 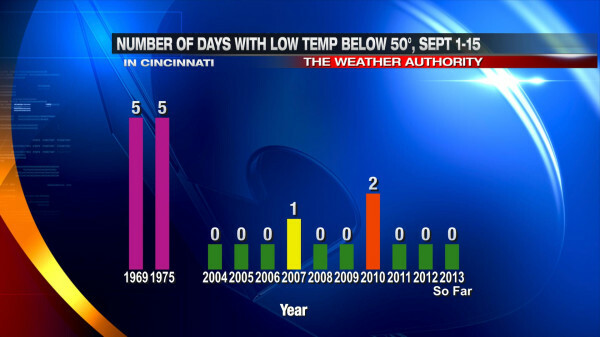 The Weather Authority is forecasting low temperatures in Cincinnati early Saturday and Sunday morning to be in the mid to upper 40s. Communities north, northeast, and northwest of Cincinnati will likely drop into the lower 40s early Saturday and Sunday morning. 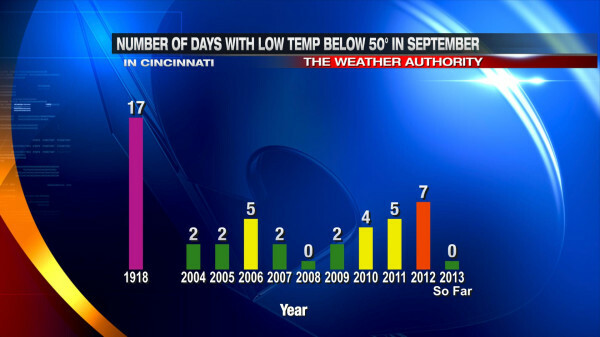 In 1969 and 1975, Cincinnati dropped into the 30s and 40s 5 times in the first 15 days of September; these are records for the most number of days with a low temperature below 50° in the first half of September. Frost is rare in mid-September, but it has happened. 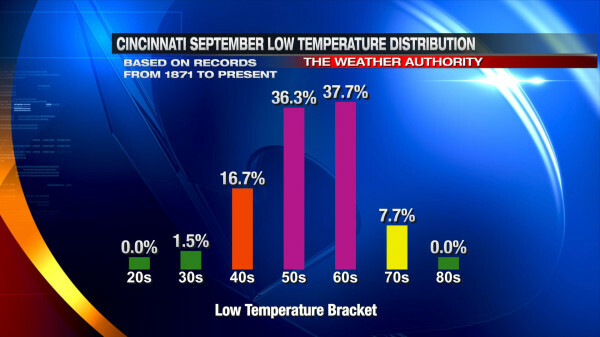 The temperature dropped to 37° on September 14th, 1964 in Cincinnati. 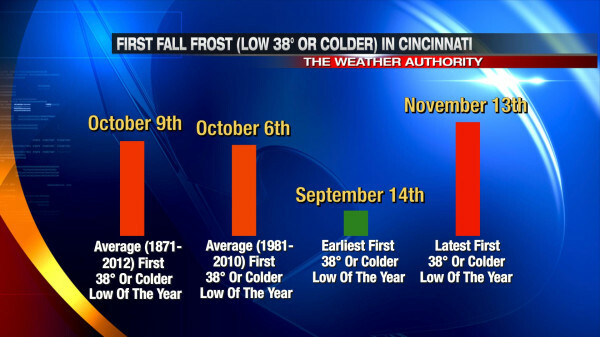 Our first fall frost is more likely in late September or early October. 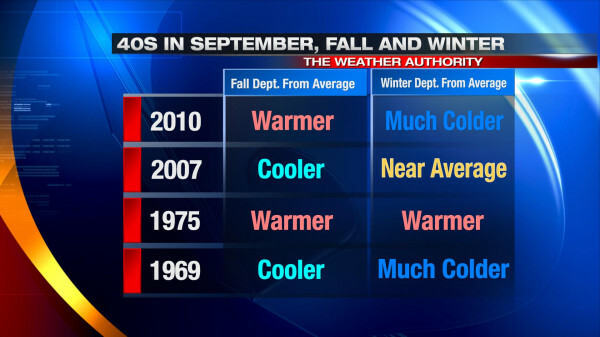 Notice there is no correlation between fall or winter temperatures and temperatures in the 30s and 40s in the first half of September. In other words, the cold blast we’re getting this week or the cold blast we had earlier this month doesn’t say much about what the rest of the fall or winter will look like. Stay warm this weekend! We’ll have highs in the 80s and lows in the 60s again by Thursday and Friday.